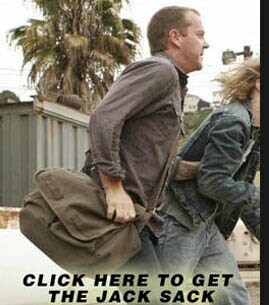 Kiefer Sutherland IS Jack Bauer and I could not watch TOUCH for that reason. It seemed almost sacrilegious for him to do that role. You might be having trouble getting your readership up again because of Word Verification. It is turning a lot of bloggers away from commenting when they encounter it. Just F.Y.I. Thanks- I updated my preferences to remove word verification! And now it seems like this has gone from rumor to a solid production! We're back!